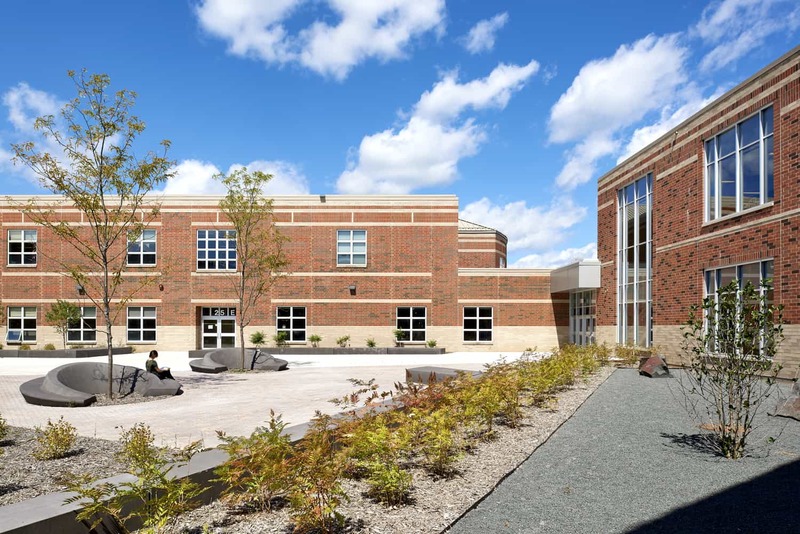 Stillwater Area Public Schools, a Twin Cities suburban school district, had experienced significant population growth. 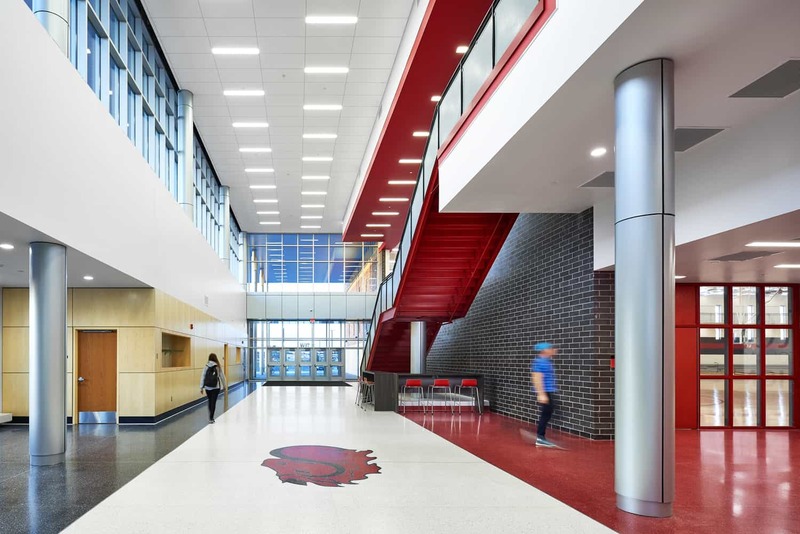 Following the approval of a 2015 bonding referendum, BWBR partnered with Ted Rozeboom to implement a fast-track design schedule that addressed the growing population, moved ninth grade students into the district’s high school for the first time, and expanded the athletic facilities. 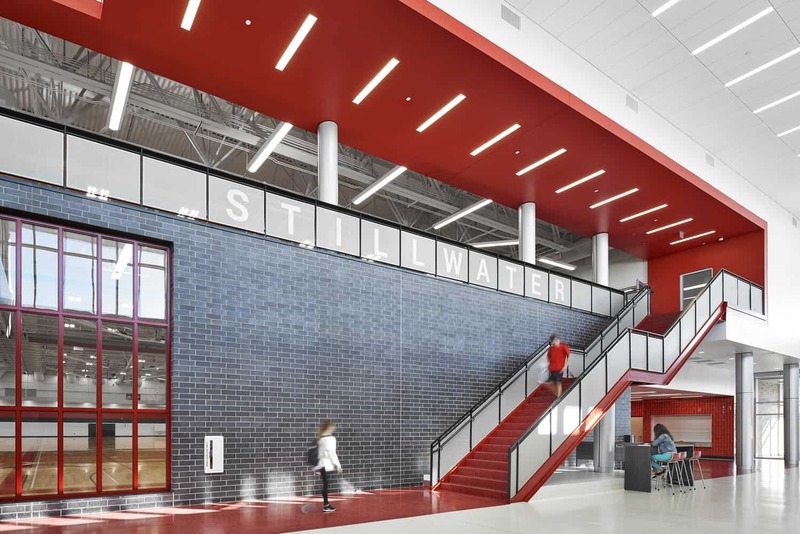 BWBR designed a series of additions and renovations to Stillwater Area High School that affected nearly the entire campus. 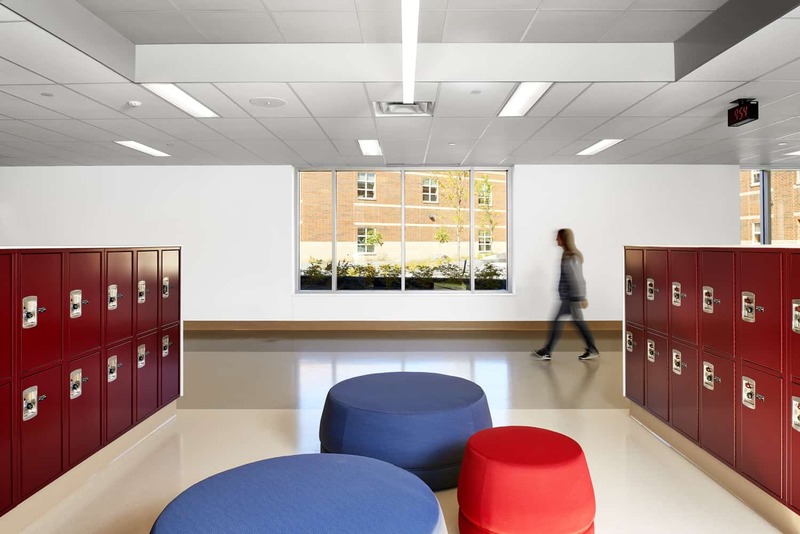 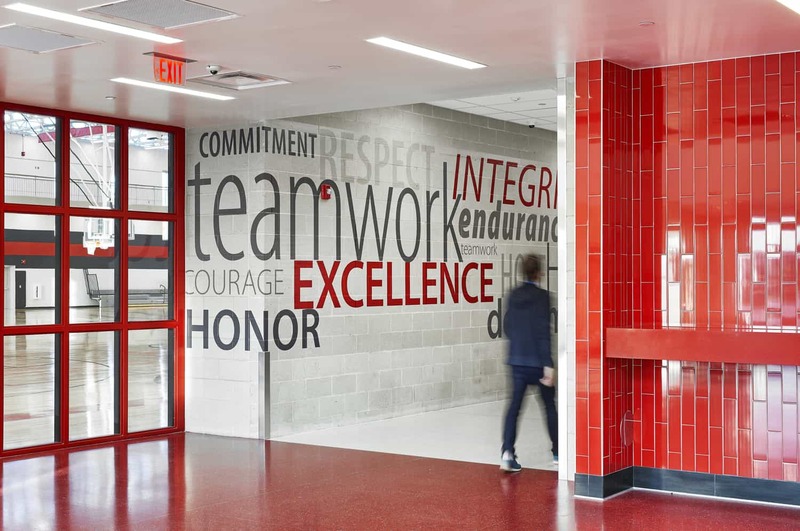 To support the addition of ninth grade, the team added classrooms and locker bays, with renovations to special education, student support centers, and faculty planning spaces. 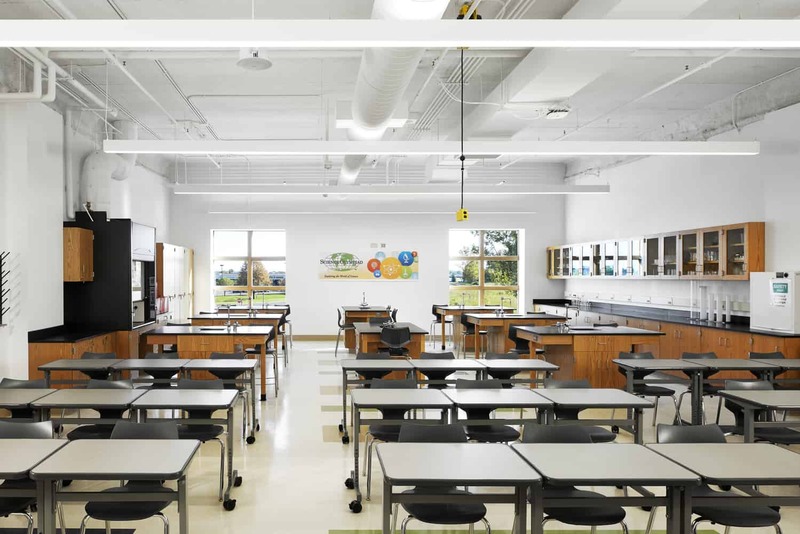 Academic improvements also included new and renovated classroom labs, as well as renovated and expanded music and art spaces with updated auditorium pit access. 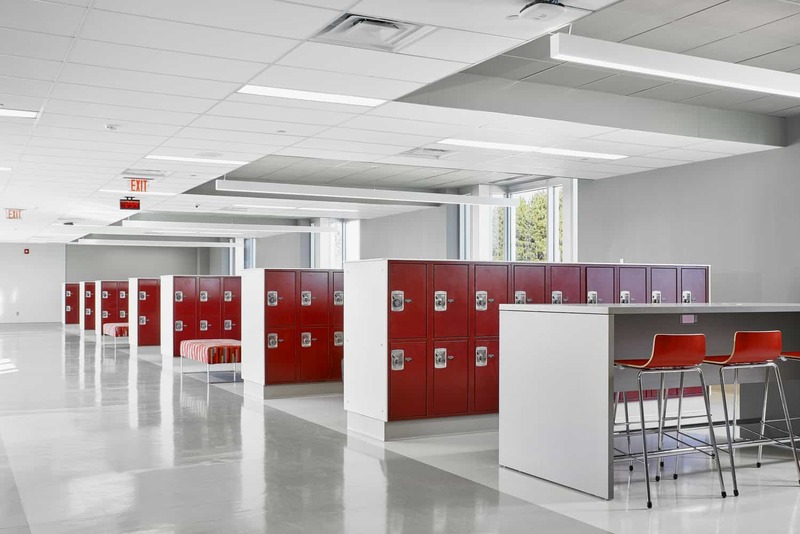 Expanded lunchroom seating improves student flow, and two new secure student courtyards with seating and a relocated greenhouse can be accessed directly from the classroom areas. 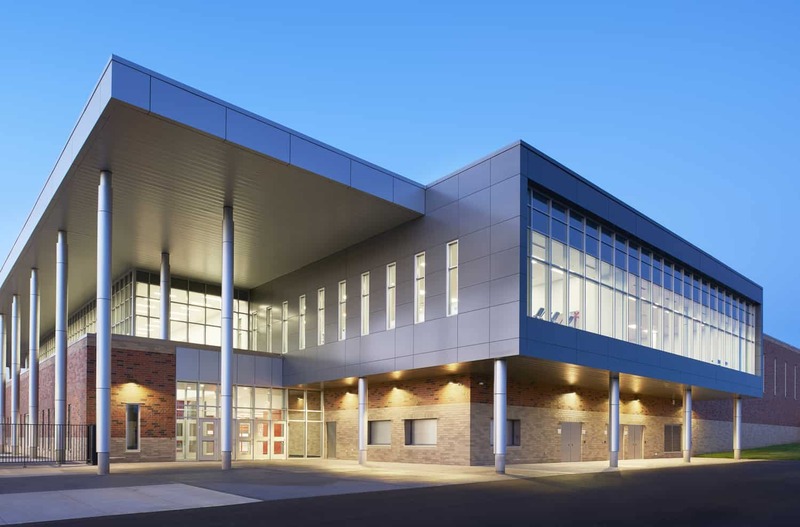 The Pony Activity Center addition serves both the high school and the general public. 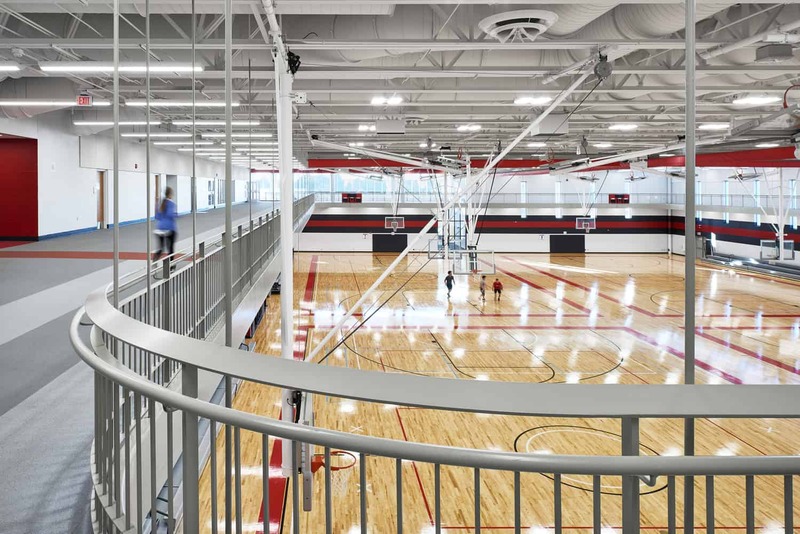 The facility offers students and community members an indoor walking/running track, expansive weight room overlooking the Pony Stadium field, four gymnasiums, locker rooms, and more.